Empowering Moms is a support group for pregnant and parenting women. 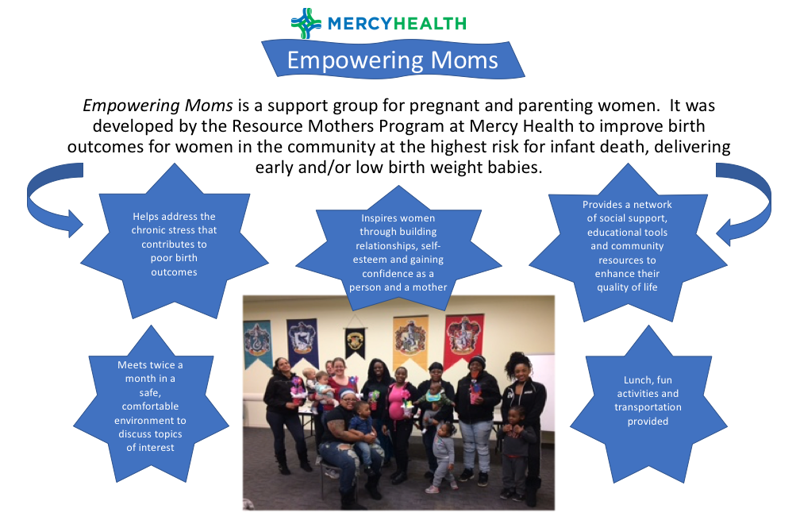 It was developed by the Resource Mothers Program at Mercy Health to improve birth outcomes for women in the community at risk for infant death or for delivering early or low birth weight babies. 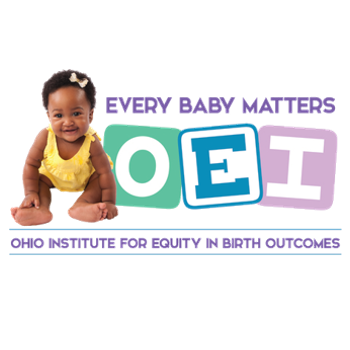 Black babies in Ohio are dying nearly three times the rate of white babies. Increasing support for these pregnant and parenting women has been identified as one important approach to help address the chronic stress that contributes to these uneven birth outcomes. Empowering Moms gives women in the Resource Mothers Program a network of social support, educational tools and community resources. Women participating in the group meet twice a month in a comfortable environment to discuss previously chosen topics, such as budgeting, domestic violence, infant safety, self-esteem, goal setting and anger management. Refreshments are also served. Empowering Moms is held twice a month on Thursdays.